Monday, August 8th saw Firestorm release version 4.7.9.50527 of their viewer. Coming a little over four months since the last release, 4.7.9 brings with it a lot of important changes from the Lab – perhaps most visible Avatar Complexity and graphics pre-sets – as well as a large number of nips, tucks, fixes and improvements from the Firestorm team and open source / TPV contributors. As per my usual MO, what follows is not an in-depth review of the release, but rather an overview, highlighting some of the more significant / interesting changes, updates and fixes, which I feel will be of most interest to users. When installing this release, uninstall the existing version and then install the new 4.7.9 release – no need for a clean install. Firestorm have discontinued producing a 32-bit Havok version of the viewer for Linux, due to the relatively low demand for it. Firestorm is and will continue to be available as a 64-bit non-Havok (“OpenSim”) version for OS X and in both 32-bit and 64-bit non-Havok (“OpenSim”) versions for Linux. 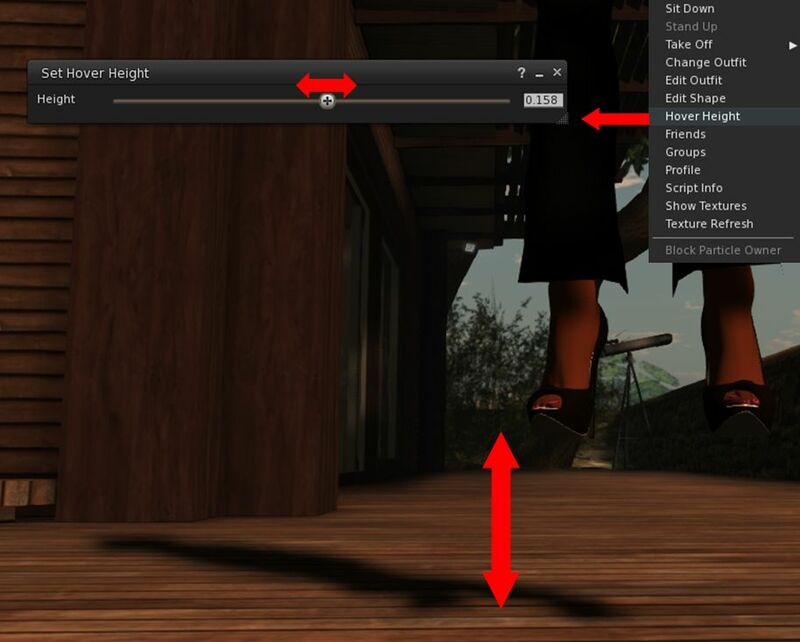 These versions can obviously be used with Second Life, and are available for the 4.7.9.50527 release. This means it is unlikely there will be any Firestorm Havok support for either Max OS X or linux until Linden Lab release the 64-bit versions of the Havok library alongside their own upcoming 64-bit viewers. In the meantime, the Firestorm team offer their apologies for any inconvenience caused, and ask that those on either OS X or Linux who require Havok functionality (e.g. for mesh uploads reliant on Havok physics or for pathfinding purposes) to briefly switch to the LL viewer. The first noticeable aspect in this release is the log-in credentials area at the bottom of the splash / log-in screen have been revised, offering a slightly more Viewer 4 style look and bringing all the options together alongside of a single, obvious log-in button. Note that if you prefer the old login screen layout, you can set the debug setting FSUseLegacyLoginPanel to TRUE. Another change with this update is that opening Preferences from the log-in screen should no longer cause splash screen layout problems, thus fixing FIRE-17518. Firestorm 4.7.9 brings the viewer up to parity with the Lab’s 4.0.6 code base, and so includes the Avatar Complexity (aka “Jelly Dolls”) and graphics presets, as noted above, and includes many maintenance fixes, things like Voice updates and the most recent HTTP updates. Avatars can often be the biggest single rendering load on our computers. Hence why the bottom falls out of your viewer performance in a crowded place. 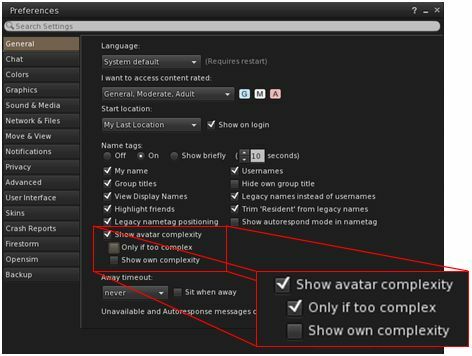 Avatar Complexity is a means to offset this impact by allowing you to set a “complexity limit” for avatar rendering. Any avatar (including their attachments) exceeding this limit will be rendered as a solid colour – a “Jelly Doll” – putting a lot less load on your computer. 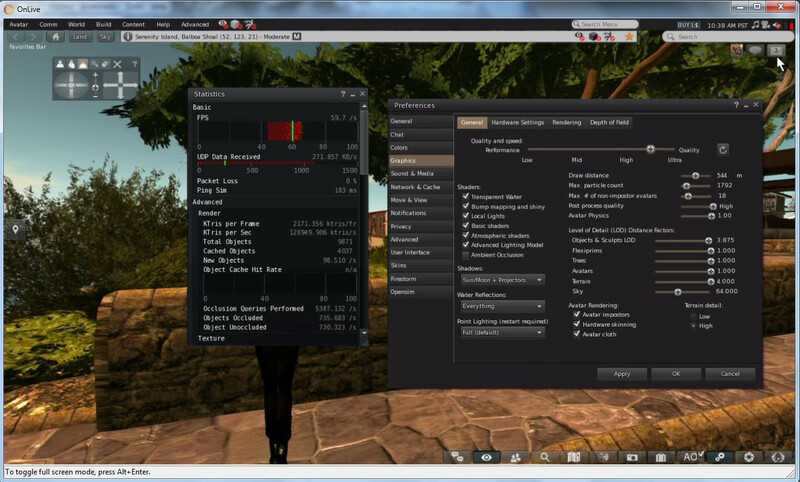 You can adjust the limit according to your needs, and you can also override the setting for individual avatars around you. Do note as well that the setting only applies to other avatars in your view; your own avatar will always be rendered fully. 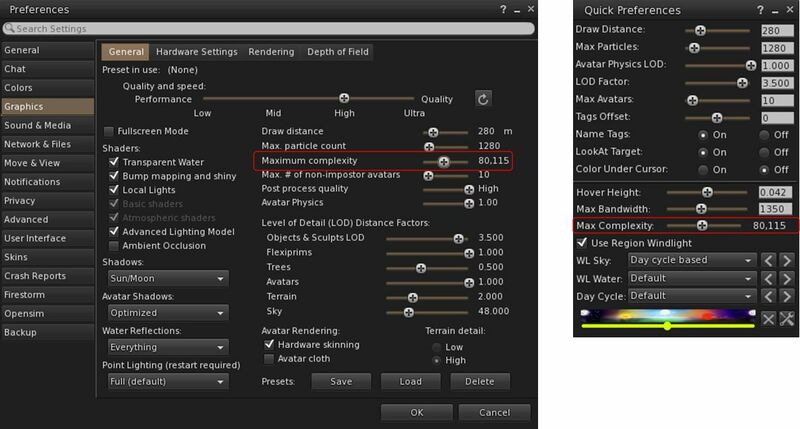 You can adjust you Maximum Complexity setting at any time in Firestorm in one of two ways either via Preferences > Graphics or via your Quick Preferences. 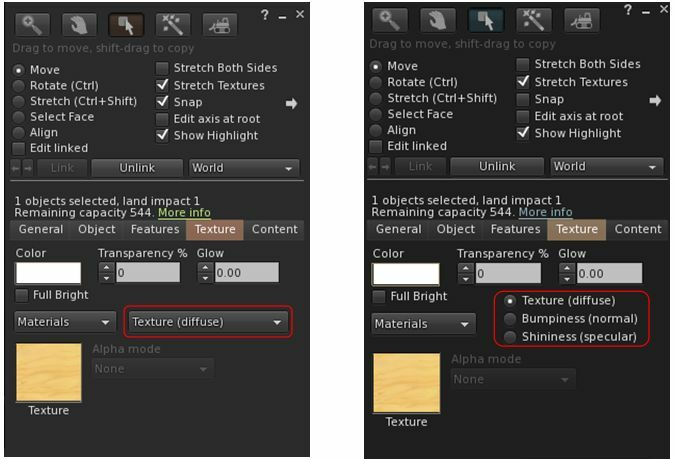 In both cases, moving the Max(imum) Complexity slider to the right increases your threshold, allowing more avatars around you to be fully rendered, while moving it to the left decreases your threshold, increasing the number of avatars liable to be rendered as solid colours. 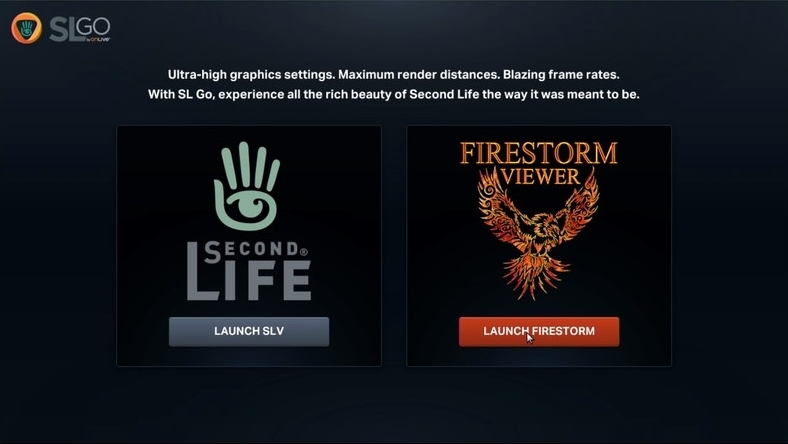 Onlive, the provider of the SL Go, and the Firestorm team recently announced the addition of the Firestorm viewer to the SL Go service. I covered the news with a quick overview, and you can also read both the official press release from OnLive and the Firestorm’s team’s announcement to catch-up, if you need to. Given SL Go has, until this announcement, only been available with a flavour of the official SL viewer, there may be some Firestorm users who haven’t really thought about SL Go or given it a look. As such, I’d thought I’d offer a little more of a detailed look. Just as a quick reminder, SL Go is a third-party service which can be used to access Second Life. Rather than using a locally-installed viewer, everything is run on OnLive’s servers and then streamed directly to the user’s chosen device (PC, Mac, tablet, HDTV via OnLive’s own game console). SL Go has been available with a version of the SL viewer since March 2014 for all of the above. The Firestorm update now extends the service to include the Firestorm viewer, initially only to people running low-end PCs and Macs, although Android and iPad flavours should be available in the future. The service does require a subscription (to cover OnLive’s costs), which amounts to US$9.95 (UK £6.95) per month for unlimited access – and this includes accessing Second Life from your Android Tablet or iPad as well, should you also wish to give it a try (you will need to install the OnLive app on your tablet and, as noted above, you will only be able to run the SL viewer on it for the time being). A free 7-day trial period is provided for anyone wishing to try the service without obligation, and there is no minimum term once the trial period has ended, so you can cancel your subscription at any time. Once you have signed-up, and to use Firestorm, you’ll need to download the OnLive PC or Mac client. However, and important point to remember is that SL Go isn’t intended as a replacement for the standard viewer offerings (SL or TPV). If you have a good computer / laptop and can run the viewer to your satisfaction already, then SL Go likely isn’t for you. But, if you are using an old system and are finding SL a struggle, then SL Go may well offer a means for you to increase your enjoyment with the platform until such time as you can update your hardware. Allowing the viewer to load. 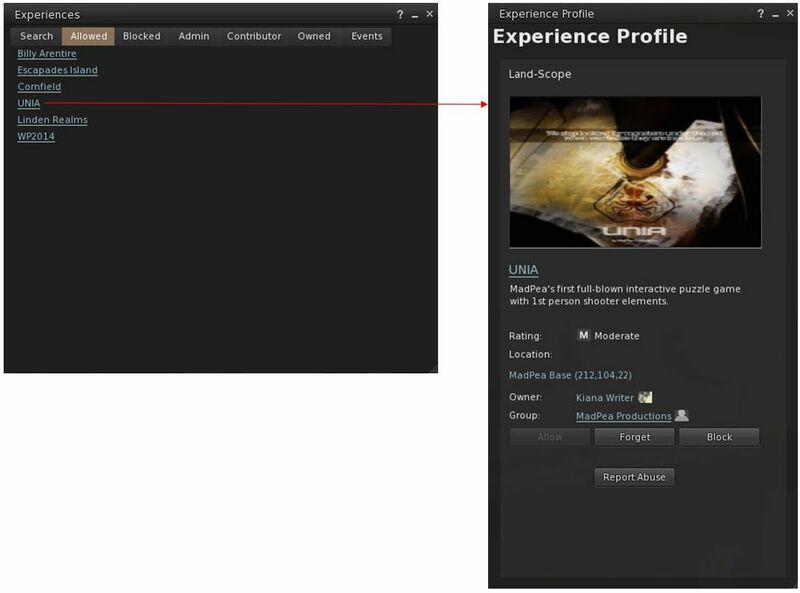 A point of note here is that the OnLive client runs in a fixed 1280×720 resolution, and presents the viewer in fullscreen mode only. This means that the client is “stretched” or “shrunk” to fit other screen resolutions, and as a result there can be a loss of image quality. 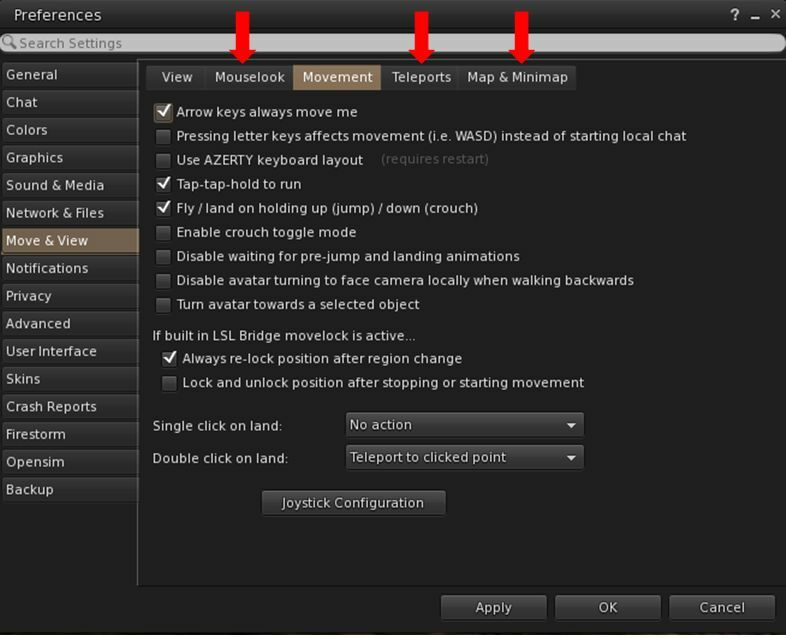 This can be compensated for to some extent by switching the OnLive client to “Windowed” mode (ALT-ENTER for Windows, CMD-F for Mac), and then resizing the window by pointing down into the lower right corner of the window, holding the left mouse button and dragging to the desired size (note that the cursor will not change to a grab handle or anything, so getting it can be a case of trial and error). The window will retain a 16:9 ratio when being resized in this way, but should hopefully offer some degree of improvement; in the case of my own Asus PC EEE 1201N notebook (1366 x 768 native resolution), it did make things clearer for me. 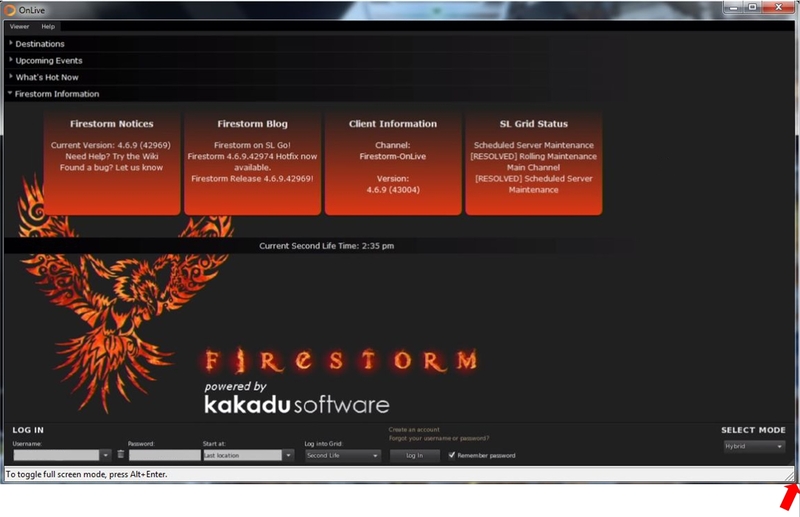 Once you’re logged-in to Firestorm, you should find it pretty much as you’d expect to see it on logging-in first the first time following a clean local install. As when running the viewer locally, you can set the buttons you require within the toolbar areas, adjust the font size, tweak Preferences, etc. 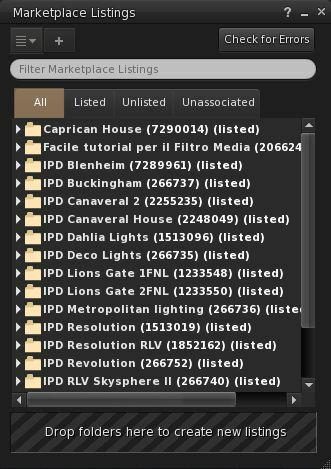 You’ll find you have almost everything you’d expect to find in Firestorm had you downloaded and installed it: windlight options, Phototools, radar, quick preferences, Firestorm’s conversations / chat UI, RLV/a and so on. 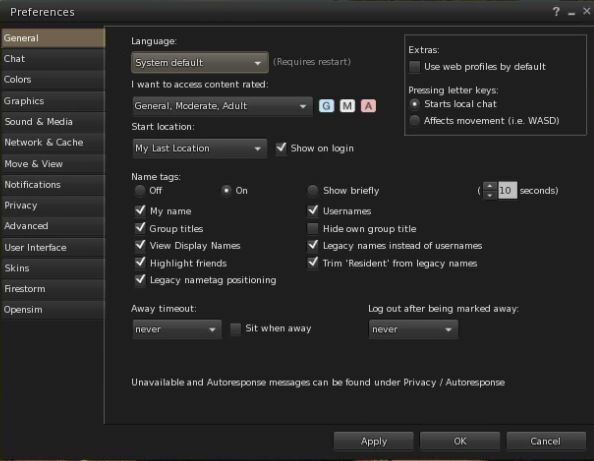 You cannot save or restore your Firestorm settings; any “local” pickers Firestorm uses will not work; there is no option to set crash reporting to the Firestorm team.